Update: Forecast This | News and Features | Style Weekly - Richmond, VA local news, arts, and events. Which meteorologists came closest to predicting Sandy? UPDATE: While Richmond's neighbors to the east and north cope with the devastating aftermath of superstorm Sandy, this region was spared, if not prepared for the worst. The totals are in and, if you haven't noticed, most of our local forecasters were at least a little off about Sandy's effects on Richmond. 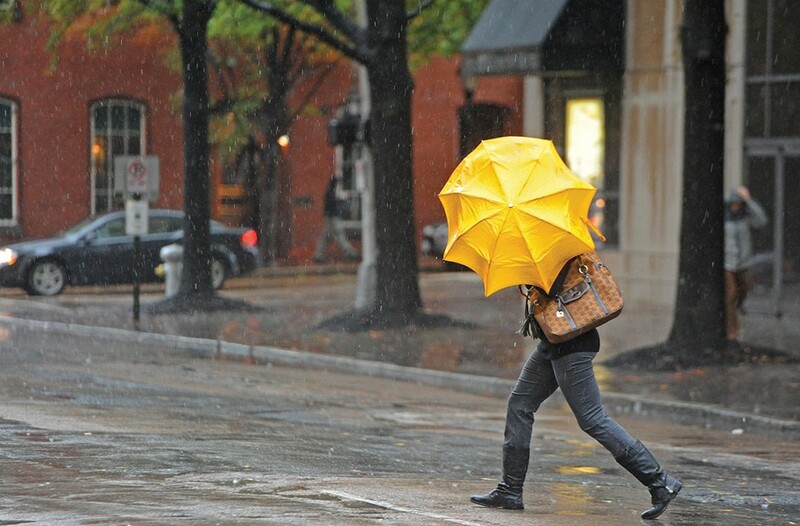 The majority predicted higher winds and more rainfall than what materialized Monday night. Highest registered wind gust: 40 mph. Bottom line: Negligible power outages and minimal flooding in Richmond -- a crummy night, but nothing compared to points north. So who wins our Sandy scorecard? Well, one forecaster hit it closest with both wind speed and rain predictions: John Feerick, a meteorologist with Accuweather.com. Based out of the company's headquarters in State College, Pa., he's the only forecaster from outside the area we consulted. His wind gust prediction was the lowest of the bunch and at 45 mph was still five over what was measured here. His rain prediction, 2.5 inches, was 1/9th of an inch low. Check below to see how your favorite local forecasters fared. While Style goes to press, it's absolutely unclear what kind of mark Hurricane Sandy will leave on metro Richmond. So here are a bunch of guesses -- really good guesses (we hope) from some of our favorite Richmond weather personalities. We logged the predictions Monday afternoon as the worst of the storm begins to make its way over the region. We'll share the results next week. Winner gets the glory. Bottom line for Richmond: Small-scale flooding only (unless someone forgot to clean out a drain). Two thirds of metro area will lose power due to downed trees and power lines. Bottom line: Wet, blowing snow will be seen in the metro area between 2 and 8 a.m. on Tuesday. Areas along and north of a line from Kilmarnock to Doswell to Charlottesville will be hardest hit from prolonged high winds, with some areas out of power for over a week. At the peak of the storm 65 percent of Virginia Dominion Power customers will be without power. Bottom line: Localized flooding, widespread power outages north and northeast of Richmond. Three quarters of metro area will lose power (for 15 minutes on the low end to five days for some areas to north and northeast) beginning late Monday into early Tuesday. Bottom line: For the metro area, it's not going to be as bad as Isabel or Irene, but if you go up in the northern neck, it's a totally different kettle of fish. Bottom line: Not sold on any really big flooding issues, and while we'll probably see some flakes fly, nobody should be getting their hopes up about any accumulating snow. The wind is still the biggest concern, and while we'll be spared the brunt of Sandy, multi-day power outages will again be an issue for many. Bottom line: It's kind of comparable to a nor'easter we'd see in January where we get a lot of rain and a lot of wind. It may be enough wind to cause some power outages and there may be some localized flooding, but things are going to be a whole lot worse up toward Baltimore and Philadelphia. Bottom line: Flooding will not be the main concern for Richmond, but rather damage from sustained winds of 25-40 mph and widespread power outages that will likely range between 150,000 to 400,000, and folks could expect to be without power for a day or two at a minimum up to a week, depending on how quickly Dominion can respond.